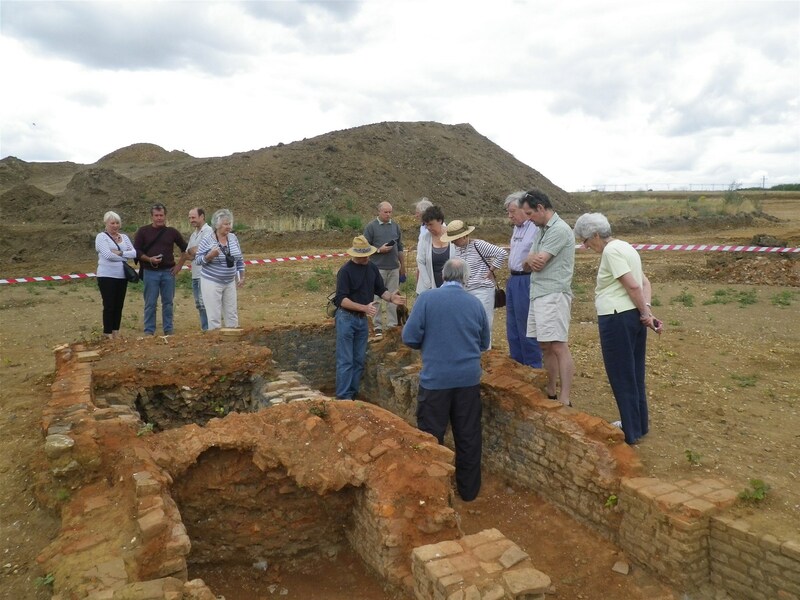 Wherever possible we try to allow the general public access to our excavations, to see any discoveries first hand and experience how an archaeological dig works, by organising include open days or guided tours for community or school groups. Where access is limited due to time constraints or health and safety issues, we aim to provide external viewing areas and noticeboards. As a part of our more interesting excavation projects we often aim to show the results to local schools, either by enabling school visits as fieldwork progresses or by following up with classroom visits where we can talk about the discoveries and show off some of the finds. 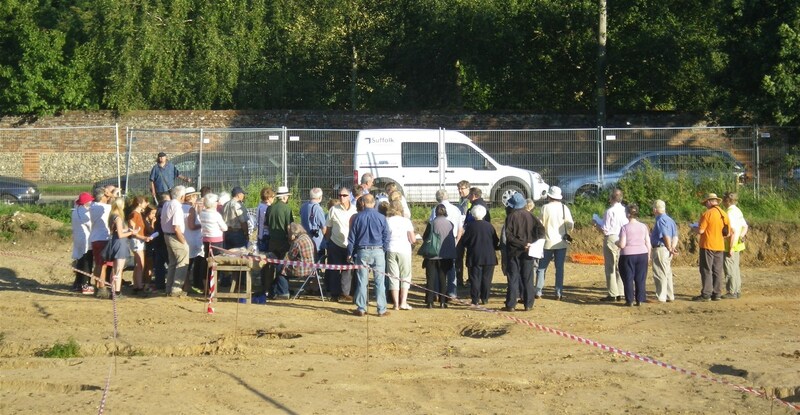 Suffolk Archaeology staff are involved with a variety of other local or national archaeological or heritage organisations such as RESCUE and the Ipswich Archaeological Trust and can offer a range of talks or presentations on aspects of Suffolk archaeology and history. 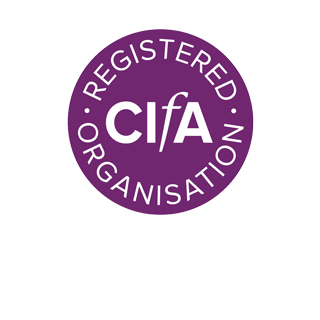 We regularly give talks or presentations to local groups (e.g. local history societies), usually about past or recent projects that we have carried out in Suffolk. 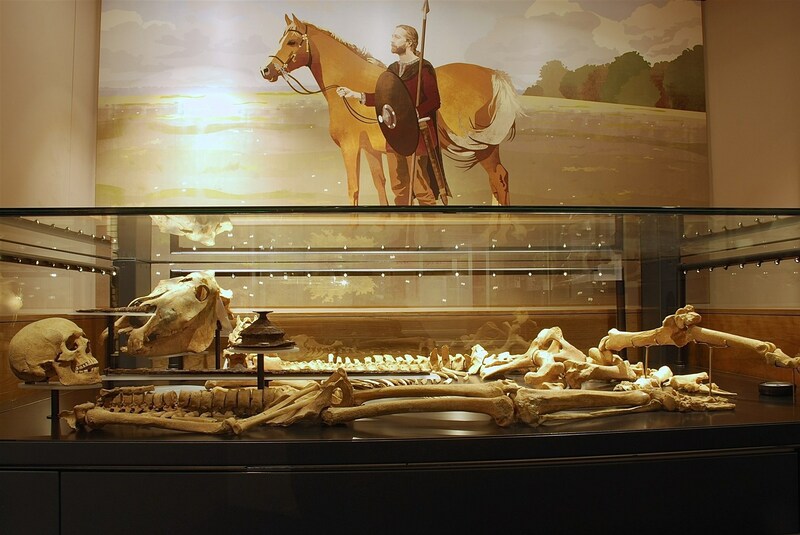 We can also arrange temporary or permanent displays of the results of our excavations, ranging from simple noticeboards in local community centres to curated displays in our local museums such as Moyse's Hall Museum in Bury St Edmunds, Ipswich Museum or Mildenhall Museum, the latter being where the 'Lakenheath Warrior' currently resides. Suffolk Archaeology events coming up in the next few months will be advertised in local press or our social media accounts, or can be viewed by clicking below. If you're interested in booking a site visit, a talk or any other event please contact us to find out what we can offer.